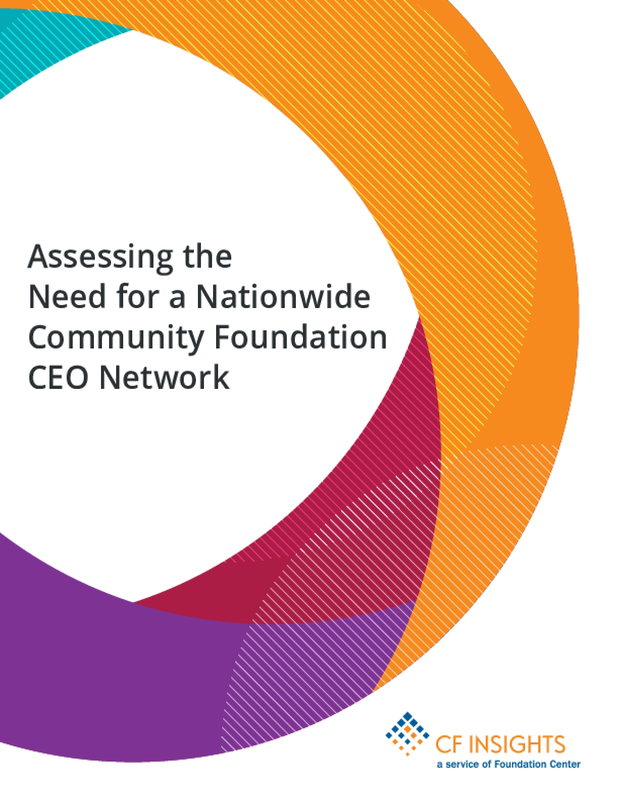 In partnership with a group of community foundation leaders, CF Insights conducted a field-wide survey of community foundation CEOs to determine the strength of demand for their own formalized, unified network, which would allow them to connect to each other on issues relevant to chief executives from across the community foundation field. This report examines the results. Across the United States, there is a growing recognition that early education and K-12 systems require transformative changes to address racial, ethnic, linguistic and economic disparities in school readiness and success. 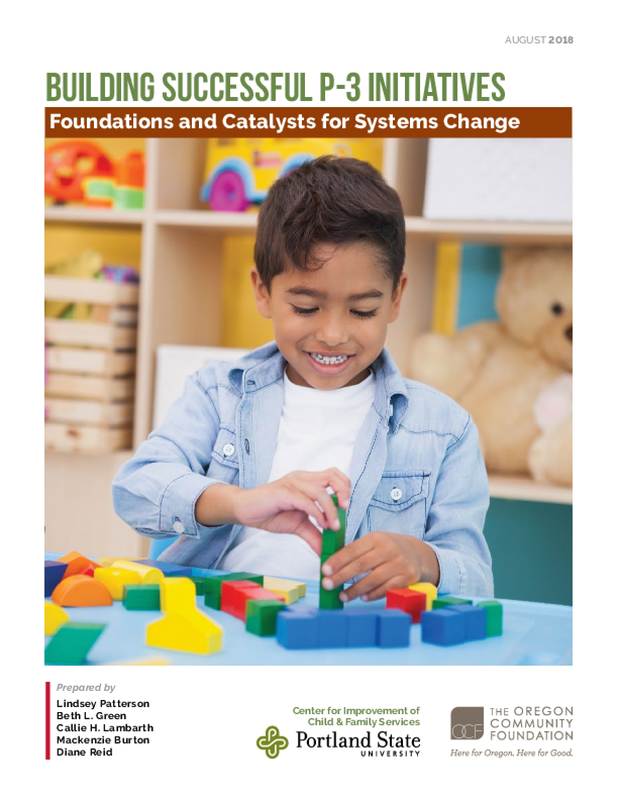 Early education and K-12 systems require transformative changes to address racial, ethnic, linguistic and economic disparities in school readiness and success. 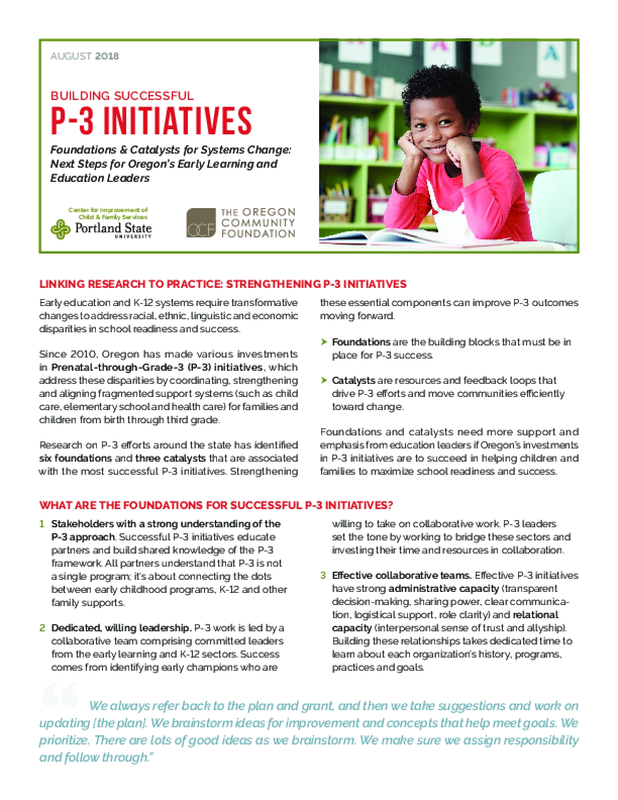 Prenatal-through-Grade-3 (P-3) initiatives are an innovative approach to improving school readiness for Oregon'schildren. While slogans like "think globally, act locally" have been around for decades, still so much decision making about philanthropy happens by stakeholders outside them. This paper intends to address the struggle funders face with giving up power, despite caring deeply about championing local leadership and initiatives. 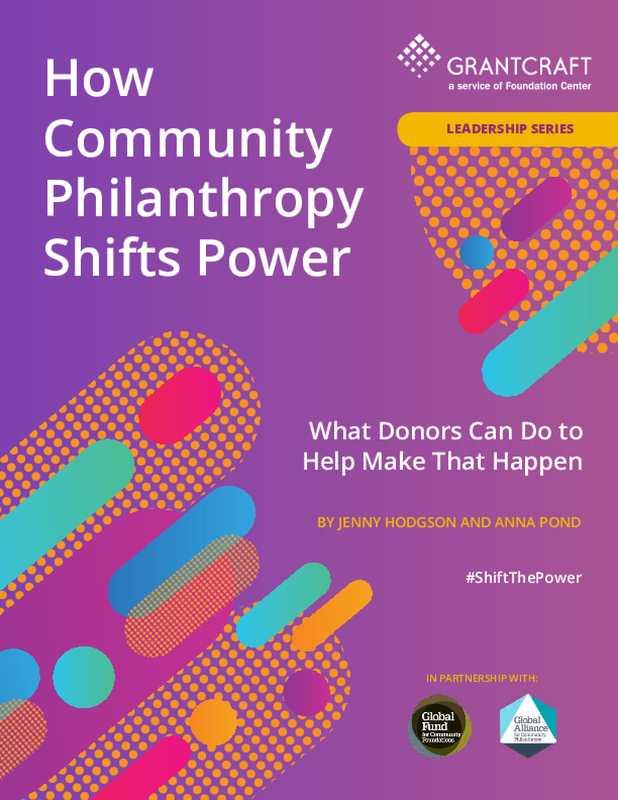 Learn about the "community philanthropy approach" and practical examples of how funders have shared and shifted power without losing sight of their strategic imperatives. 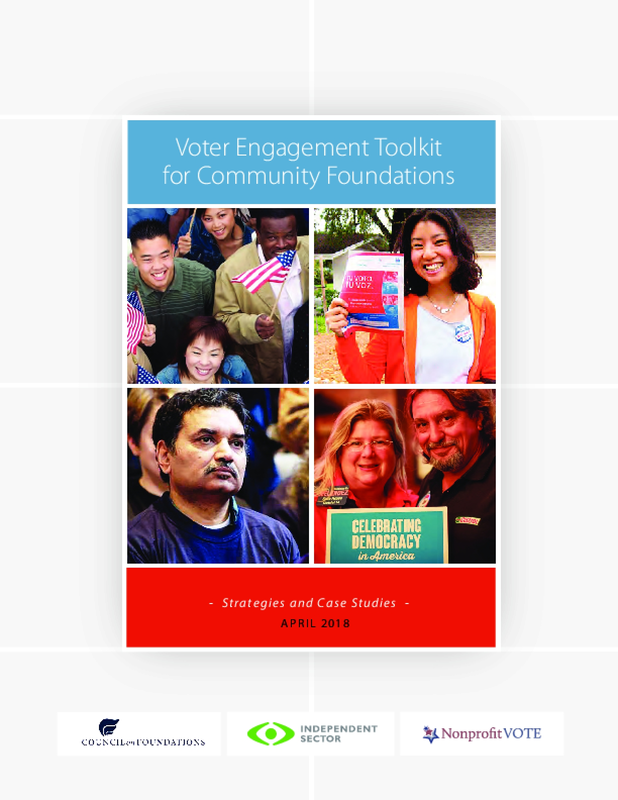 The new foundation toolkit lifts up concrete ideas and examples for community and public foundations to encourage voter engagement among their grantees and networks. 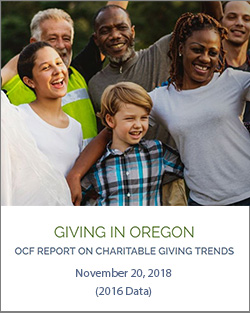 Strategies range from communications, resource sharing, and nonprofit trainings to integration into programs and grantmaking or donor and grantee education. 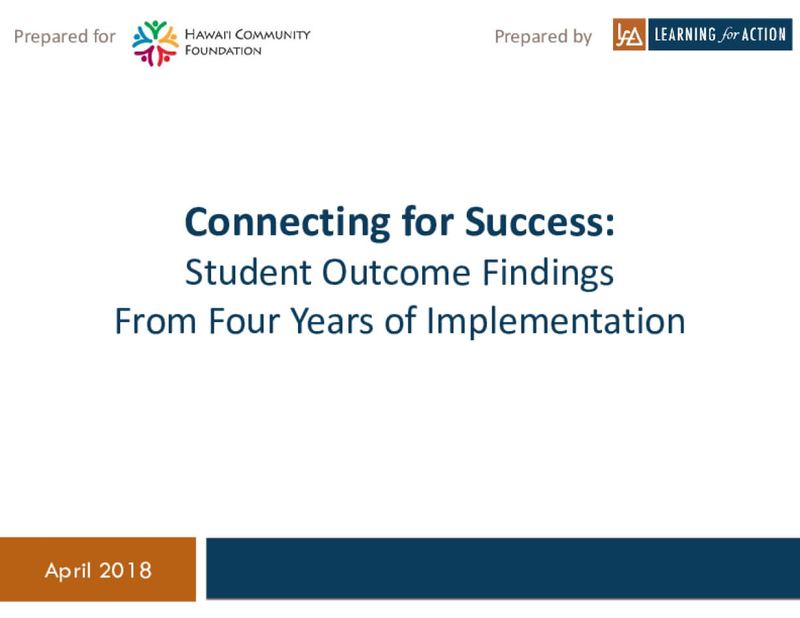 Connecting for Success (CFS) is a four‐year initiative funded by the Hawaiʻi Community Foundation and 14 donor partners. It is currently in its fourth year. 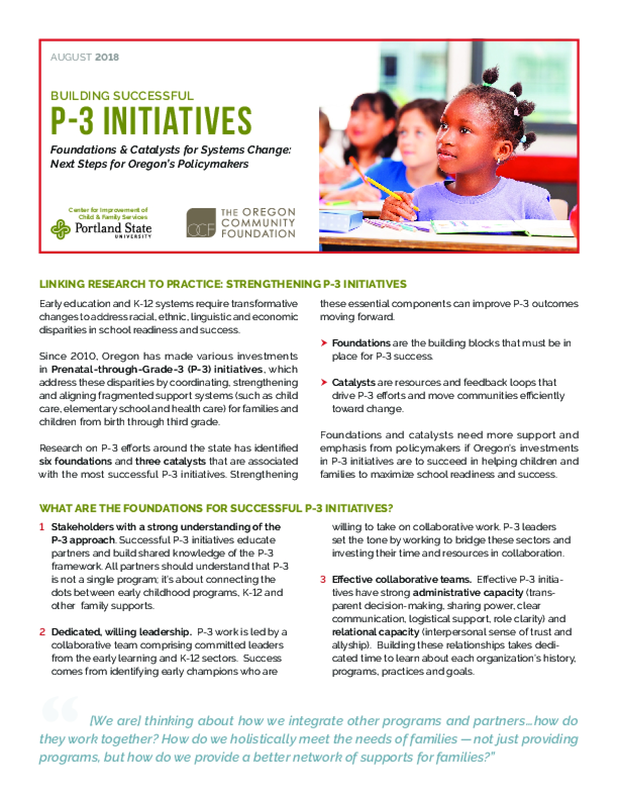 From 2013‐2016, 10 middle schools and five community partners served students identified to be at risk of very low levels of academic achievement. In the fourth year of the initiative, eight middle schools participated. CFS provides academic and enrichment supports, as well as interventions designed to improve attendance and behavior. 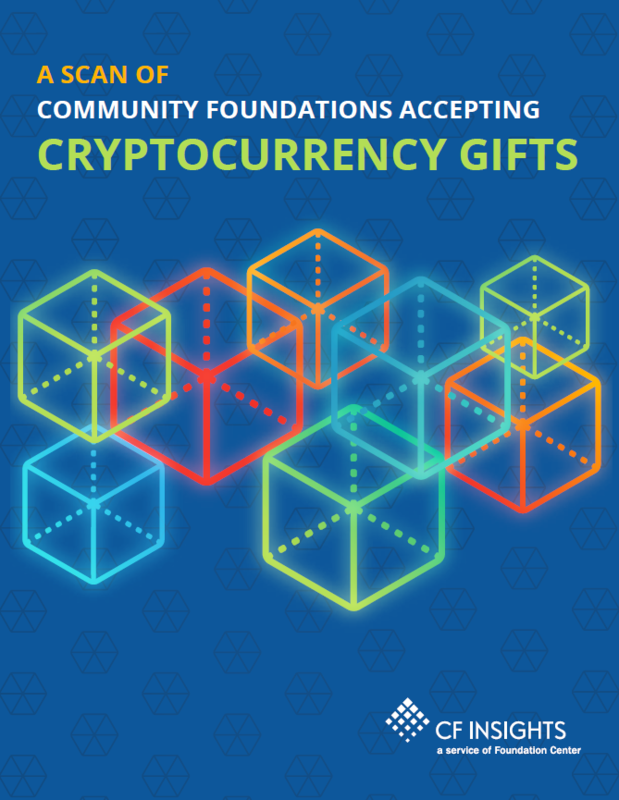 Through increasing academic achievement and their connection to school, CFS programming is designed to make it more likely that participating youth will transition successfully to high school, stay on the path to graduate from high school, and ultimately succeed in college, career, and the community. Transformative family engagement creates true partnerships between families, schools, teachers, early learning programs, and providers. 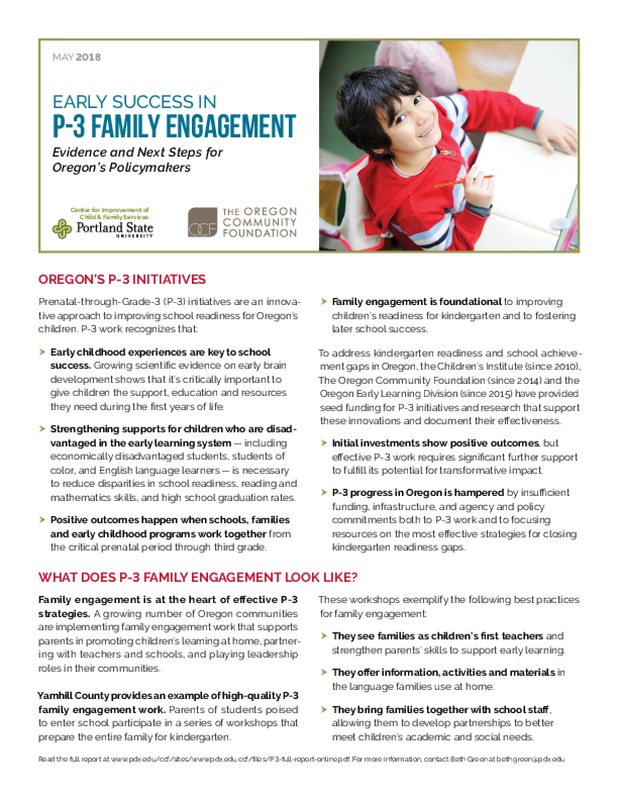 In Oregon, current family engagement efforts fall into three broad domains: 1) Engaging families in supporting children's learning at home; 2) Engaging families as partners with providers, teachers, and schools; and 3) Engaging families in program, school and community leadership, decision-making, and advocacy. 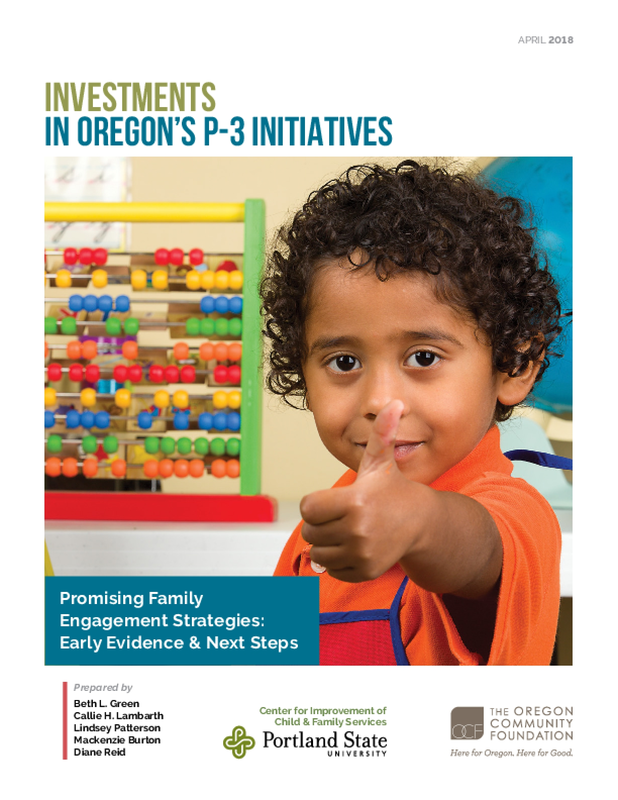 Although early indicators relating to the family engagement work being done by communities across Oregon are promissin, The central recommendation of this report is to continue strengthening family engagement work that focuses on reducing disparities for Oregon's most vulnearble children. The data continues to show dispartieies in school readiness for children of color and for children from economically disadvantaged families.